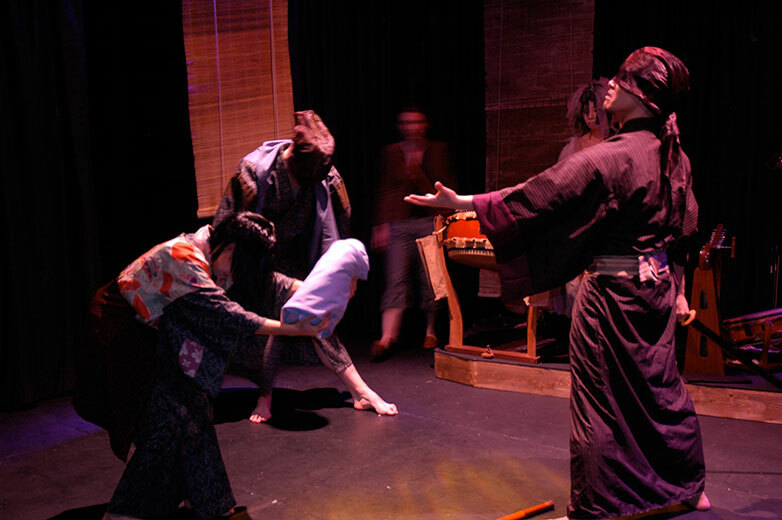 A devised piece incorporating half-mask and traditional Japanese music and movement to tell a story set in Aokigahara, the "suicide forest" at the base of Mount Fuji. Devised with physical theatre actors and professional Japanese Taiko drummers. "Thoughtful and moving...The physicality of each character in every scene has clearly been given a huge amount of consideration...the soundscapes capture the changes in mood and scene perfectly...excellent performances and understated moments of pathos."